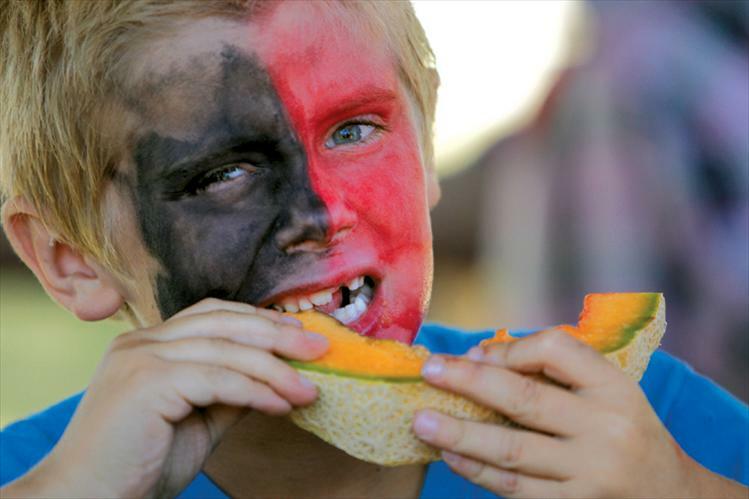 Stephen Ioli, a 7-year-old Dixon resident, chows down on a slice of Dixon melon during the melon-eating contest at Saturday’s Dixon Melon Days. 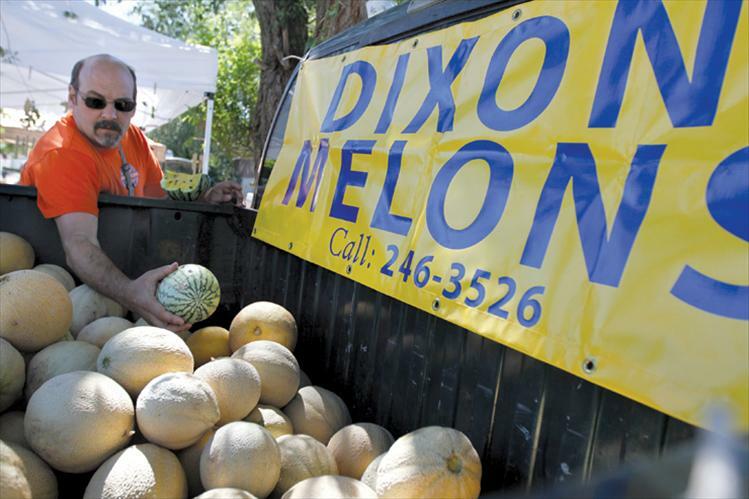 Greg Hettick, son of Dixon Melons owner Harley Hettick, searches for the perfect melon for a customer. 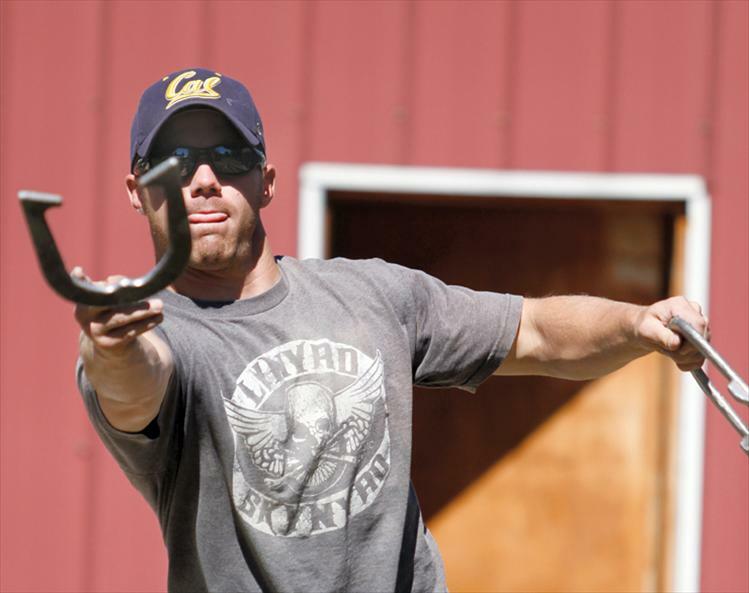 Cal Courville lets a horseshoe fly during a game with friends and family. 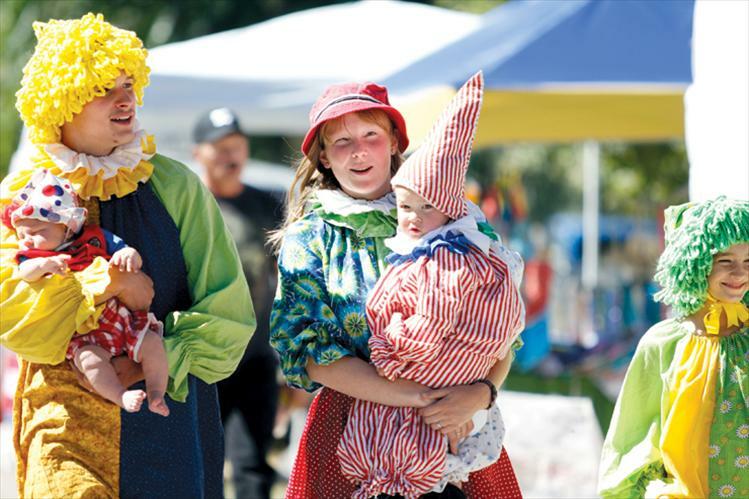 The Balyeat family clowns helped entertain the crowd at Dixon Melon Days. From left are James, holding Matthew; Amanda, holding David; and 11-year-old Charity, also known as Clutter the Clown. The family traveled from Great Falls for the event. 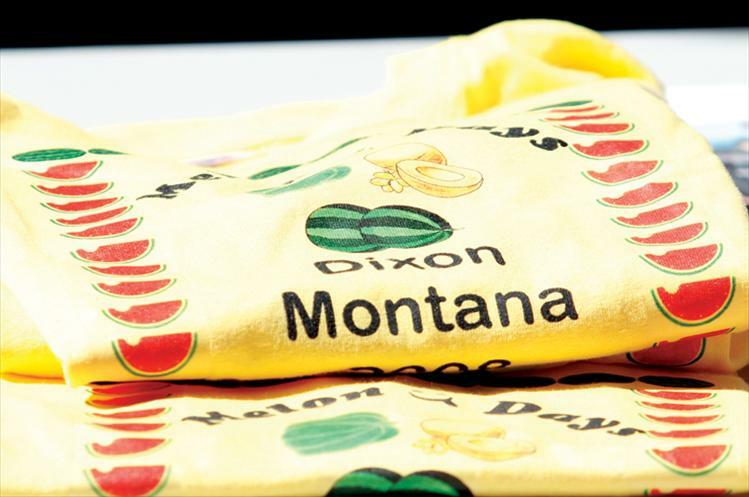 Melon Days T-shirts make cheery festival mementos. 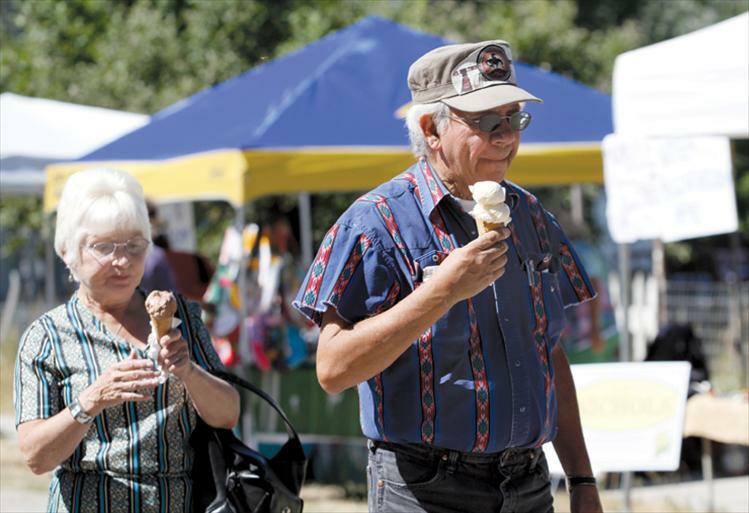 Cool treats refresh Melon Days attendees as they wander through the festival. 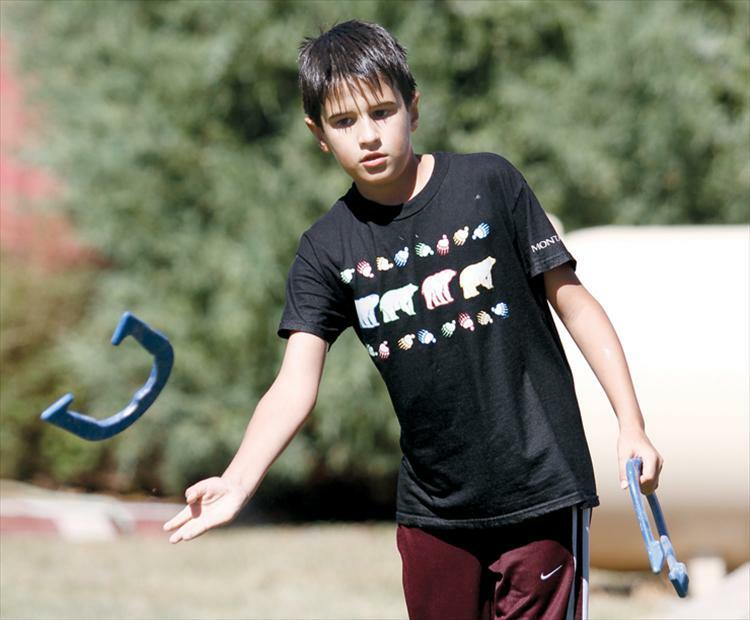 During a break from in Melon Days festivities, 10-year-old Reed Bocksnick of Ronan tosses a horseshoe with friends. 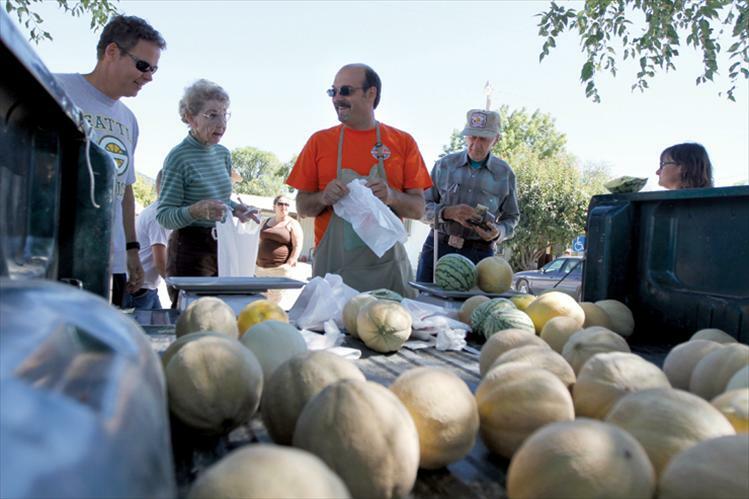 Buyers check out the goods at Melon Days. 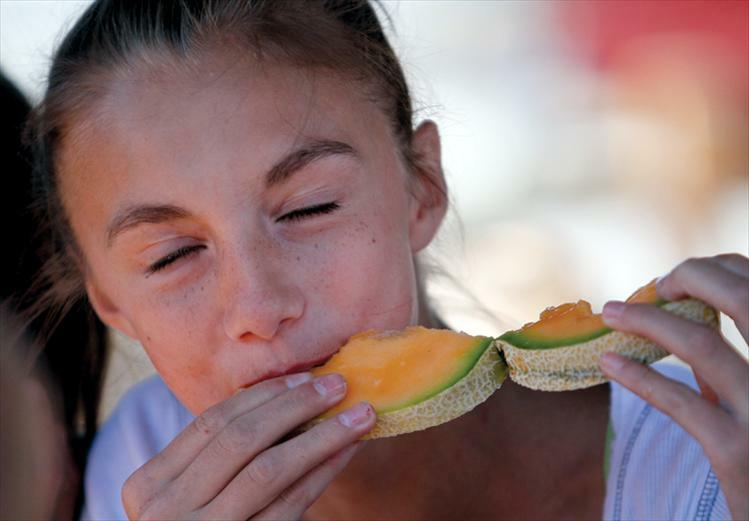 A Dixon melon is a slice of heaven for one young competitor in the melon-eating race.